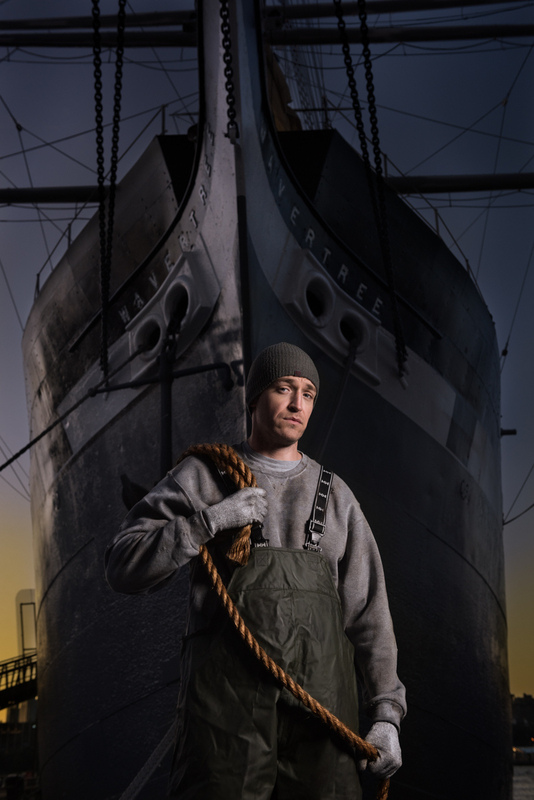 We based this shoot on an old job Dan had back home as a dockworker. 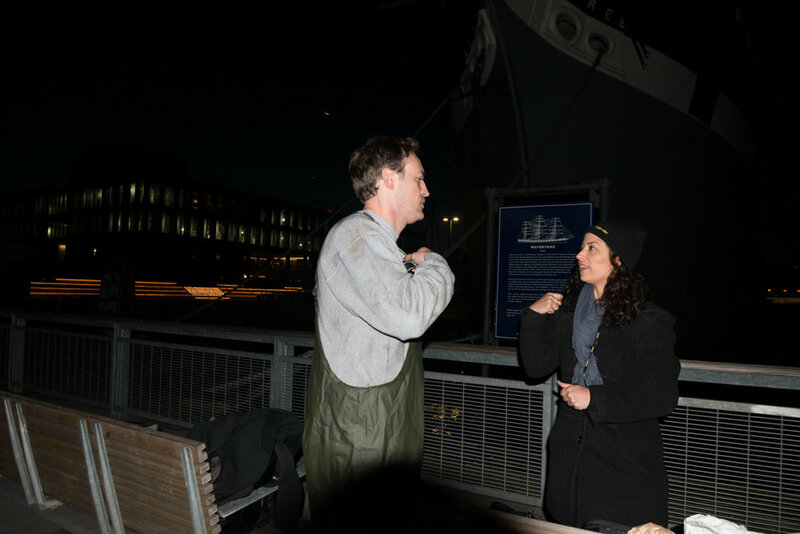 He showed me an old image of him on the dock, and we used it as a guide and inspiration for both the costume and the feel of the image. The challenge now was to find a loading dock by the water in NYC. Good luck, because I don't believe they exist. I decided to cheat it, and use the beautiful boats of South Street Seaport as the backdrop. While scouting the location the day before, I saw the huge ropes that were used to encore the boats. I went to home depot and bought the thickets twine rope they had in stock and used it as a prop. Stevie Ondra the costume designer did a genius job distressing the brand new sweater, overalls and gloves. I didn’t want to show the railing because I felt like that would take away from the authentic feel of the image, so I angled my camera up, and had Dan stand on the street bench. Team shot | We are freezing! I used one light – my trusty battery powered Broncolor strobe with a small soft box to light Dan. The boat in the background is lit by the ambient light of the sunrise. It was very important to be there before the sun went up, so I could decide on the framing, and be completely ready because the specific sunrise look only lasts for a few minutes. It was a particularly freezing cold morning, so once I knew we had the shot, we were out of there. We were on location by 6:30AM and out by 7:30AM.